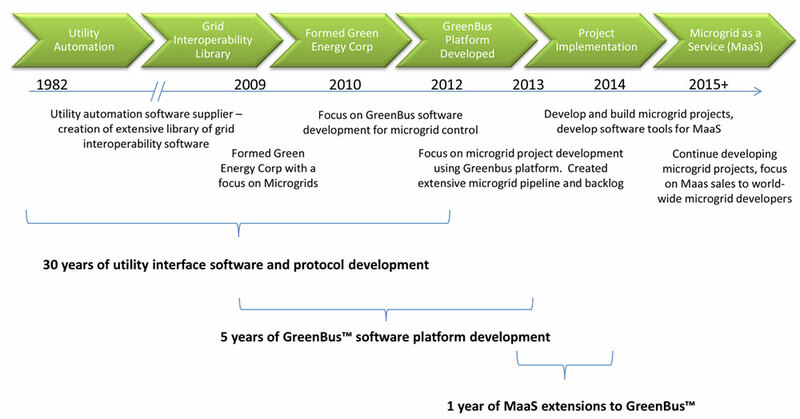 Green Energy Corp (GEC) is a leader and pioneer in design and software engineering services for distributed energy generation, load management, and innovative microgrid controller solutions. GEC provides extensive engineering support and development toolkits to promote the implementation of smart grid and microgrid technologies throughout the world. Green Energy Corp fundamental principle and core belief is to do well and do good. GEC can be successful as a company and do well in the growing market of microgrid technology, whilst being great stewards of the planet and doing good. Providing accessible, affordable energy to everyone is within reach, and we hope to supply even the most remotes corners of the world with power.